As a physician and neurologist, I have spent more than 20 years helping patients and families cope with the challenges of chronic illness, and I have found that I can help my patients beyond establishing a diagnosis or prescribing a medication. Frequently, the most important advice I can offer the patient or family is identifying the need for caregiving services and offering appropriate support to family caregivers. I often encounter social situations in which my patient would greatly benefit from additional assistance and support, whether in-home care or an assisted living community. Unfortunately, in most instances, the cost of care is perceived as prohibitive. Often my patients and their families delay seeking appropriate care because they perceive that the costs are beyond their reach. We at DrKnows.com have taken the initiative to help you understand your options for care. Recognizing that the cost of care can be a challenge for some families, I have also established the Servons Foundation to help support individuals and families with the cost of this care. If you would like to contribute to the Servons Foundation, please contact: 1 (844) 375-6697. In creating DrKnows.com, I have gathered a team of experts who are passionate about helping others and who understand that asking for care and accepting assistance can be very intimidating. We understand the importance of maintaining one's independence and dignity. Our advisors are familiar with the options in your community. In fact, DrKnows.com Care Advisors live in your community and regularly interact with the assisted-living communities, reporting care facilities, and home health care providers in your area. We believe that maintaining excellent rapport with our clients and with care providers is essential to meeting everyone's needs. As you can see, DrKnows.com is not a major corporation with thousands of employees working solely to please shareholders. While the DrKnows.com website is an excellent tool for consolidating important and useful information, we do not intend our website to be a substitute for personal interactions. The following information brochure offers a comprehensive description of options for financing care. If you have more specific questions about in-home care, residential care communities, or financing care in your specific geographic region, please speak directly with your local DrKnows.com Advisor. DrKnows.com has been established to provide important, comprehensive information to patients and their families. To offer these trusted services, DrKnows.com receives financial compensation from participating out of home residential care communities and in-home care providers. Can I put a value on my own good health and well-being? Will assisted care help me maintain my independence and quality of life? How much would the assistance of a caregiver reduce my medical costs, visits to doctors, trips to the hospital? This question is almost impossible to answer, but a trip to the hospital for a preventable fall can be extremely expensive. How much stress and effort does it take to maintain and repair your home? Medicare for health insurance benefits. Even though long-term care can be an important aspect of maintaining health, Medicare does not cover the costs of assisted living or most in-home care services, especially if skilled nursing services are not required. Unless the individual needing care has either long-term care insurance, Medicaid, or veteran’s benefits, the patient and family are usually responsible for the cost of care. In April of 2014, Genworth Financial Incorporated issued the results of a survey suggesting that the national median monthly rate for a one-bedroom unit in an assisted living facility is $3500 per month. The cost of assisted living has been rising by an average of 4.29% on an annual basis since 2009. If you are considering options for in-home care or especially the possibility of a residential care community, it is very important to begin putting your financial affairs in order. Maintaining organized and accurate financial records will make this process much easier. Additionally, is essential to maintain organized, complete, and accurate medical records. Whether you are beginning an adult day program or moving into a residential care community, you should be prepared to provide your medical information and possibly some financial information. Insurance information: Homeowner's, life insurance, long-term care insurance, automobile insurance, etc. Downsizing is another important step in preparing for long-term care, particularly if you or your left one may eventually move into an assisted-living community. Unfortunately, Medicare does not cover many long-term care services, even though patients and physicians may believe these types of care are cost effective and in the best interests of the patient and society. Medicare does not cover “custodial care” or many of the personal care services provided through long-term care, such as supervision or assistance with activities of daily living (ADLs). In fact, Medicare only covers “medically necessary care,” and these covered services generally revolve around acute medical care, doctor’s visits, hospitalizations, and medications. Medicare benefits extend to short-term services for conditions that are expected to improve. To be eligible for Medicare, a person must be over the age of 65 years or have end-stage renal disease or be under the age of 65 years and have a qualified medical disability. The patient had a recent, prior hospital stay lasting at least three days. The patient is admitted to a Medicare-certified nursing facility within thirty days of the prior hospital stay. 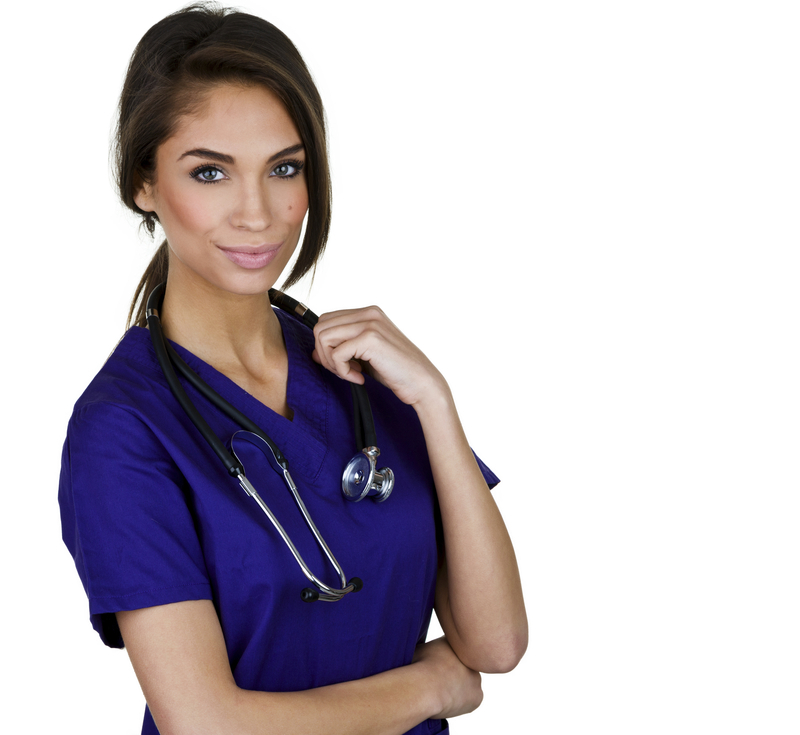 The patient requires skilled medical care, such as skilled nursing care, physical therapy, or other types of therapy. If the patient meets these criteria, Medicare will pay for some of these costs for up to 100 days (100 percent of the costs for the first twenty days; the patient pays up to the first $140.0 per day of expenses from day twenty-one through day one hundred and Medicare pays any balance). Medical supplies and durable medical equipment, including manual wheelchairs, walkers, electric scooters, electric wheelchairs, hospital beds, and oxygen. The Medicare beneficiary pays twenty percent of the Medicare approved amount. Medical social services to aid in coping with the social, psychological, cultural, and medical issues that result from a medical disease. Medicare will cover hospice care for patients with terminal illnesses who are expected to live less than six months. The important phrase here is “not expected to live more than six months.” If a physician diagnoses a terminal illness and has a reasonable expectation that the patient will live less than six months, Medicare will pay for hospice services, even if the patient lives longer than six months. Medicare will pay for hospice care at home, in a nursing home, or in a hospice care facility, and Medicare will also cover the cost for some short-term hospital stays and inpatient care for caregiver respite. Medicaid (called Medi-Cal in California) is a joint federal and state government subsidy program established to assist people with low-income and low assets to pay for some or all of their medical and healthcare bills. Medicaid not only covers physician visits and hospital costs, but it also covers long-term care services in nursing homes or long-term care provided at home. Unlike Medicare which does not pay for “custodial care,” Medicaid does pay for “custodial care” at home and in nursing homes, including assistance with personal care. The individual states have considerable flexibility in how they operate their own state’s Medicaid program, but there are some broad federal program rules about who is eligible for Medicaid and what services Medicaid will cover. Medicaid eligibility rules and covered benefits vary from state to state, and you should review your own states Medicaid policies. Most states have established waiver programs that allow some Medicaid funding to be applied to the costs of assisted living. However, some of these state programs only allow for benefits of limited cost or restricted medical conditions. Medicaid benefits may cover most or all of the cost of nursing home care. 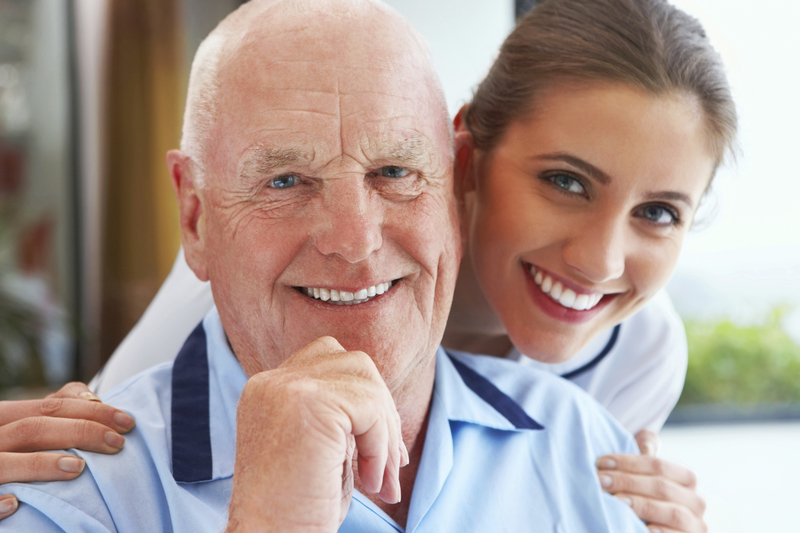 In nursing homes, a higher level of medical care is provided, such as wound care or intravenous medications. In light of the fact that assisted living facilities do not provide nursing care, Medicaid benefits typically only cover portions of the costs of assisted living. Some residential care facilities do not except Medicaid benefits as a form of payment. Currently, Alabama, Kentucky, Louisiana, South Carolina, and West Virginia do not offer Medicaid coverage for assisted living. Rather than offering Medicaid coverage, Pennsylvania has implemented Supplemental Security Income for assisted living. These state programs typically require that participating citizens meet financial eligibility criteria, and these state programs typically support low-income seniors over age sixty, seniors living in rural areas, minorities, or Native American older adults. As a member of the United States Armed Forces, you and your spouse may be entitled to benefits through a program called the Non-Service Connected Improved Pension Benefit with Aid and Attendance or often abbreviated as “Aid and Attendance.” While members of the military who are on active duty are typically very aware of their benefits, those veterans who have not served in the military for a number of years often forget that they may be eligible for benefits. More commonly, family members of veterans are not aware that the veteran may be eligible for benefits. For example, active duty veterans and their spouses needing care are eligible for monthly benefits through the Veterans Administration. Additionally, any veteran who has served in the military for at least ninety (90) days of active duty and who has served at least one (1) day during a foreign war (even if the veteran did not serve overseas and did not directly participate in combat) is eligible to apply for the Aid and Attendance Special Pension. As more and more veterans are now experiencing chronic medical, disabling conditions, the Veterans Administration has been building assisted living facilities in the larger cities, including communities that can accommodate veterans with dementia. Veteran applications will need to complete a medical qualification tasks. On the other hand, a veteran’s care needs do not have to be directly related to military service. Veterans who require assistance with activities of daily living (ADLs) or assistance with financial planning may be eligible for Veterans Aid. Currently, a married veteran requiring senior healthcare services may be eligible for benefits of $2085 per month for care, $1759 per month for single veterans, and the veteran’s spouse may be eligible for benefits of $1139 per month. Our DrKnows.com Advisors can help you determine whether or not you are eligible for these benefits. This type of assistance it may be used for almost any type of senior care, whether services from an in-home caregiver or from a residential care community. Like most financial assistance and resources, Veterans Aid and Attendance is typically based on the veteran’s need and determined by the veteran’s assets and income. The veterans Administration estimates that only one third of eligible veterans are actually applying for and receiving appropriate benefits. The Housebound Aid and Attendance Allowance Program is dedicated to providing financial resources to eligible veterans with disabilities and to their surviving spouses to purchase home-based and community-based long-term care services, including personal care assistance and homemaker services. This resource is designed to supplement the eligible veteran’s pension benefits. The Veteran Directed Home and Community Based Services Program (VD-HCBS) was established in 2008, and this assistance program provides veterans of any age with a flexible budget to purchase services. To find out more about Veterans Aid and Attendance or to apply for assistance, contact the local Veterans Administration, or visit the Veterans Administration website. You can apply online by completing the Veterans Online Application (VONAPP). When searching online, make sure that you visit the official website of the Veterans Administration. A bridge loan is an interest-only loan that may be used in instances in which an individual is short on cash but has equity in his/her home. A bridge loan is used to cover the costs of assisted living while a person is in the process of selling a home. Eventually, the proceeds from the sale of the home are used to repay the value of the bridge loan. The option of a bridge loan may be appropriate for a person or couple who needs instant access to cash and who intends to sell the family home. Selling a home often takes weeks, months, or even years, and the homeowner will not have access to the proceeds from the sale of a home until after the close of escrow. A bridge loan offers quick access to the equity in the home, thereby enabling the homeowner to take advantage of the equity to offset the immediate costs of assisted living. Reverse mortgages are available to homeowners over the age of 62, and these financial options enable homeowners to convert home equity into available cash. In order to utilize a reverse mortgage, a homeowner must continue living in the home. A reverse mortgage may be beneficial to a couple when one spouse will remain living in the home and the others follows requires assistance, whether in-home care or assisted living. During the past century, life expectancy has increased substantially in developed countries around the world, particularly as mankind has become much more successful in preventing and treating many different diseases. Clearly, as medical science continues to advance, we can all expect to live longer and longer. On the other hand, while the doctors and healthcare providers have been very successful in extending life, we have not always been as successful in extending youth or improving quality of life. Consequently, many older adults require the assistance of caregivers. Presently, long-term care insurance policies continued to be among the best options for paying for in-home care for residential care. Typically, long-term care insurance should be purchased decades before an individual actually needs to utilize this form of insurance. Obviously, long-term care insurance will be much more affordable for younger and healthier applicants. Flexible long-term care insurance policies may help to support costs varying from adult daycare programs to more intensive skilled nursing care while “care allowance” insurance plans may provide a stipend to assist with paying for the costs of care, and some long-term care insurance plans will even reimburse family members a reasonable fee for providing in-home caregiving services. You should consult your tax advisor because some long-term care insurance premium this may be tested undetectable, and the benefits from “tax-qualified” long-term care insurance plans are non-taxable. If you are considering purchasing long-term care insurance, consider purchasing insurance with fixed premium rates to avoid the possibility of rapidly escalating insurance premium as time goes on, particularly as the costs of care continued to rise. Some insurance carriers now offer weight policies which combined long-term care insurance and life insurance such that if no long-term care benefits are paid out, death benefits will continue to accrue for the survivor beneficiaries. When considering the long-term care insurance, you should consider whether or not the insurance policy will cover the types of care that you anticipate wanting or needing because not all long-term care insurance policies will cover in-home care. Ideally, you may want to choose a policy that covers in-home assistance with basic activities of daily living and in-home nursing care but also which covers adult day programs, assisted living facilities, skilled nursing facilities, and other long-term care. When she is using a policy, you should consider the costs of the deductible, premiums, but also the potential limits of the policies and whether or not the long-term care insurance policy will overlap with Medicare, Medicaid, and private health insurance benefits. For individuals who have purchased partnership policies, if the cost of long-term care becomes greater than what long-term care insurance and personal income will cover, these individuals may be eligible for Medicaid benefits to fill in the difference in cost. In some instances, benefits from a life insurance policy may be utilized to cover the cost of care-giving and long-term care. Some life insurance policies may be used as a source of liquid cash, such as accessing death benefit loans, accelerated death benefits, life or viatical settlements, or cash surrender. A viatical settlement refers to the sale of a policy owners existing life insurance policy to a third party for an amount that is more than the cash surrender value but less than the death benefits, allowing the owner of the insurance policy to receive a lump sum payment while the third party assumed responsibility of paying the monthly premiums in return for receiving the full benefit of the policy when the ensured person finally dies. When considering these options, you should consult your insurance broker and tax advisor. A death benefit loan is typically a lump sum payment that can be used for any purpose, and this type of loan allows the policy holder to borrow money against the cash value of the life insurance policy. Typically, these death benefit loans have relatively low interest rates. If the loan is not repaid before the holder of the policies dies, the death benefit payment will be reduced by the amount of the debt of the outstanding loan against the policy. An accelerated death benefit is financial option, typically reserved for people who have a terminal illness, that enables the policy holder to access a portion of the insurance policy’s death benefit before the policy holder has actually died. If the policy holder takes advantage of the accelerated death benefit, once the holder dies, the beneficiaries would receive a settlement that is decreased by the amount of the accelerated death benefit. The policy holder must continue making the policy premium payments. An accelerated death benefit does not need to be repaid. Another option may be using a whole life insurance policy or universal life insurance policy to help offset the costs of long-term care. With whole life or universal life insurance policies, the policies accumulate cash by earning interest on excess premiums, and the holder of the policy can access this accumulated cash value by taking a withdrawal or loan against the policy. Whole life or universal life insurance policies may have a cash surrender option, but invoking the cash surrender option may result in “surrender fees” and tax consequences so it is important to carefully consider these options. Once the cash surrender option of the life insurance policy is utilized, the death benefit of the insurance policy will be terminated, and this life insurance policy will no longer provide a death benefit. Obviously, obtaining another life insurance policy at an older age will likely be significantly more expensive than the original policy. The vast majority of assisted living communities, board and care homes, and home healthcare agencies are owned and operated by people dedicated to helping others. These communities and agencies recognize the cost of care and that most people face financial constraints, whether being on a fixed income or having many other healthcare costs, and the hope that they are entering into a long-term agreement with you and your family. If you do need some financial assistance, ask your preferred community or agency to work with you. Ask them to explain all of the different services they are offering and how these services justify the cost of care. In some cases, assisted living facilities may be willing to work with you on their Community Fees or Move-in Fees, or they may allow you to pay these fees over time. Make sure you understand the cost of care. Some facilities charge an all-inclusive flat, monthly rate. Others may have a monthly rate but also charge for concierge services, whether medication supervision, assistance with bathing, or transportation. Still others may use a point system in which a client is charge a la carte for different services. It is important to understand all of these different fees before making a final decision. Since most people who need assistance have chronic, irreversible health concerns, you should assume that you may eventually require additional services. Again, contact the Servons Foundation to apply for assistance with your costs of care. If you have not found a quick solution, don’t give up and keep looking. There are many federal, state, county, and local resources available to patients with chronic medical ailments. Contact your County Ombudsman/Ombudsperson who will typically be aware of services and assistance available in your community. Your ombudsperson may also be able to provide additional feedback about the facilities and agencies you are considering. Also try contacting the Foundation or Society that supports your chronic disease, whether the Alzheimer’s Association, the Parkinson’s Disease Society, the American Diabetes Association, the American Heart Association, or the Multiple Sclerosis Society. The National Organization for Rare Disorders has provided some types of financial assistance for patients with needs, although this level of support is dependent upon adequate federal funding. You might also try contact your United States Congress and State Assembly representatives for advice and suggestions. Remember that if a person receives financial assistance, whether a benefit taken against a life insurance policy or through a government grant, these forms of financial assistance may have significant tax consequences and may affect the recipient’s financial status enough that the recipient may no longer be eligible for Medicaid or Supplemental Social Security. These decisions can be extremely challenging and complicated, and the better prepared and informed you are, the more successful you will be in making the appropriate choice about long-term care. We strongly encourage you to consult your family law and estate planning attorney, your certified public accountant, and other trusted advisors when making these decisions.